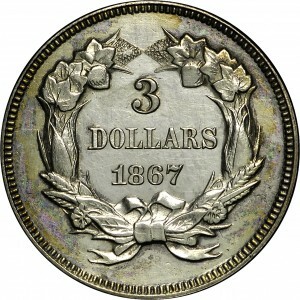 This trial piece was struck from the regular dies for the denomination, and minted in silver. Just two or three examples are known, including this Bass Collection coin and another which resides with the Byron Reed Collection in Omaha. A third listing exists for an example sold in 1954 as part of the King Farouk Collection. If this and the King Farouk coin are the same, then only these two examples are known. 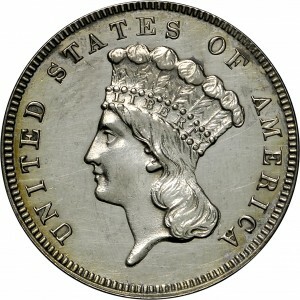 Harry Bass noted that this is from different obverse and reverse dies than the Proof example displayed at HBCC-4020. Stack's sale of the DiBello Collection, May 1970, Lot 480; Bowers and Ruddy's ANA Sale of the Sieck Collection, July 1971, Lot 329. 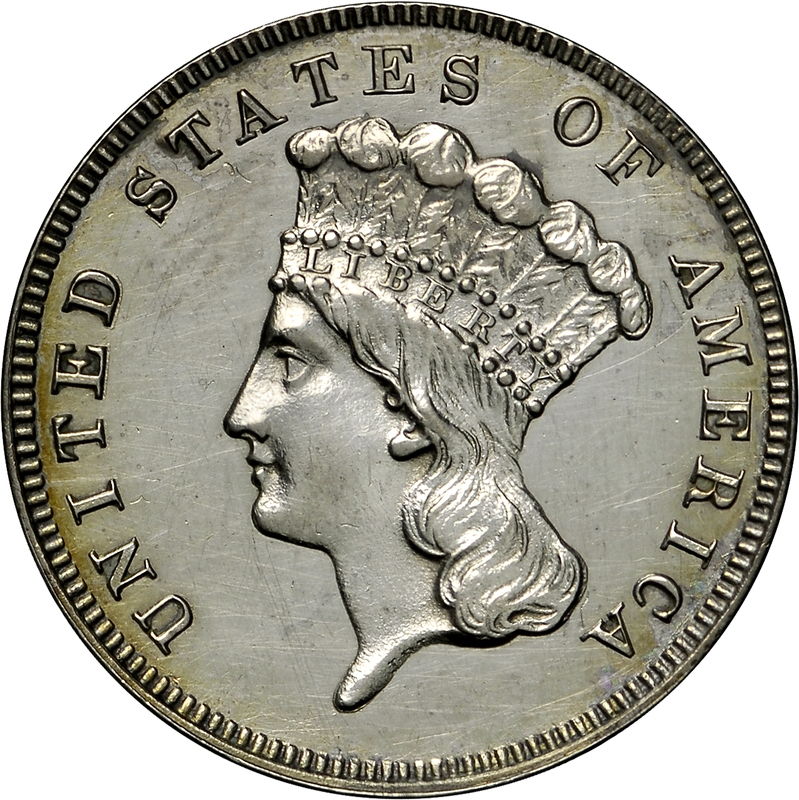 The dies of the regular-issue coins of the date and denomination.